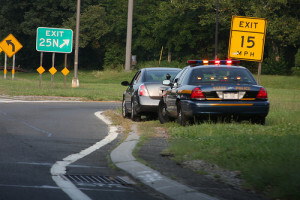 Can police pull you over based on anonymous tip? Is it legal for the police to pull you over on an anonymous tip? The Supreme Court decided a case* in April, 2014 that may affect you as a driver. The issue is whether the police can pull you over based on a tip from someone who calls in a complaint on the 911 telephone system. In this case, Lorenzo Prado Navarette was stopped by the police as a result of an anonymous call to a 911 dispatcher. The caller did not give his or her name but reported being forced off the road by a pickup truck. The caller provided the license number and a detailed description of the truck. The officer pulled the truck over and found thirty pounds of marijuana in the bed of the truck. The driver and passenger were arrested and convicted of trafficking marijuana. The driver challenged the stop as unconstitutiuonal since the police didn’t know the identity of the tipster. The Supreme Court disagreed holding in a five-to-four decision that an anonymous tip may support “reasonable suspicion” that a crime has or is in the process of being committed. The totality of circumstances must be considered and the caller’s information could support reason to believe that the driver was drunk or otherwise impaired. So, when you’re out with friends, be careful when you’re driving and feel free to report criminal activity. You don’t have to identify yourself. The same is true about reporting suspected child abuse or neglect. Your local Silent Witness program and Child Protective Services exist to deter crime and protect children and teenagers. *Navarette v. California, April 22, 2014 (U.S. Supreme Court).